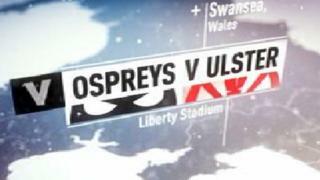 Scrum V brings you highlights of Ospreys' 31-20 victory over Ulster in Swansea. Scrum-half Rhys Webb scored two tries as the Welsh region returned to the top of the Pro12 table with the bonus win. Dan Biggar and Hanno Dirksen also scored tries in the Swansea-based side's triumph. 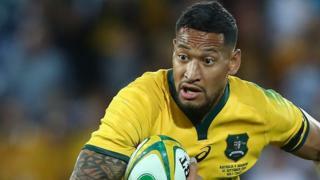 Rob Herring and ex-Osprey Tommy Bowe hit back with tries for Ulster, but the hosts denied the visitors a losing bonus point.